Jeff Johnson's real estate investing book is a real winner! Jeff K. Johnson, President of Black Commercial Inc., recently published a book on real estate investing titled, Cash Flow Forever - the Real Secrets of Real Estate Investing. In his book, Jeff shares a unique perspective on commercial real estate investing learned from his 35 years as a both a broker and a real estate investor. In short easy-to-read chapters, Jeff explains the basic financial concepts and principals necessary to master the art of real estate investing. He walks the reader through the step-by-step process of analyzing, purchasing, and managing commercial properties using examples from his own real estate purchases. In the chapter "The Greatest Real Estate Secret Never Told," Jeff shares how he learned the buy-and-hold philosophy of real estate investing from his mentors. Cash Flow Forever will provide you with a successful path to real estate investing and the tools to stay on the path. Jeff's insights and stories will light the path to your future in real estate investing. 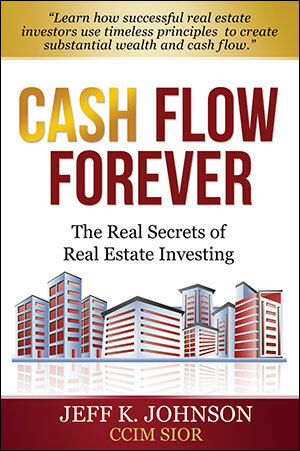 If you have the desire to become a real estate investor you too can profit from reading Cash Flow Forever. Cash Flow Forever is available in paperback and eBook format at Amazon books and an audio version of the book is available on CD or for download at www.BooksInMotion.com. 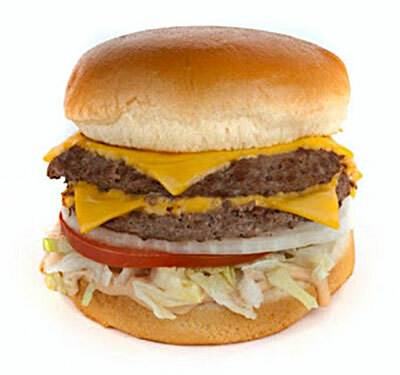 And in celebration, D.Lish's Hamburgers, at 1625 North Division, is offering "Buy one Cheeseburger, get one free" from 11 am to 6 pm. The Taste of the West Plains is a food festival and golf scramble put on by the West Plains Chamber of Commerce. This year, more than 30 Vendors will be on hand to inform, persuade and most importantly feed the masses. Vendors will be open from 10 a.m. to 7 p.m. In a completely new addition to this year's edition of the Taste of the West Plains, we are excited to announce the Garrett Bartley Band will be playing multiple sets throughout the day! The first 150 food festival patrons through the door on the 18th will receive a free gift from the West Plains Chamber and Spokane Tribe of Indians. Tickets are only $20 and available at WestPlainsChamber.org/Taste. It covers food, beverages, activities and two amazing live performances on the main stage. The Bulldog Tavern, which was at the corner of Sharp and Hamilton in the GU district for many years, lives on! Scott Wilburn, a Zag grad who went on to fame and fortune in the Seattle technology scene, purchased the building which had most recently been a coffee shop, and is opening as Scotty's Doghouse next Friday. They will have 10 TVs and a full menu of traditional pub fare with a selection of signature hot dogs. They also plan to have a DJ for dancing on weekend nights. And most important of all, artist Tom Quinn is re-creating the Gonzaga mural on the south wall. There's more info on facebook under Scotty's Doghouse. The Globe building at 204 North Division, at Main Avenue, has new tenants. The Globe Bar and Kitchen has been open for several months on the main floor. Pawn 1 is moving their corporate headquarters into a 4,000 square foot space on the second floor, and Spokane Barre fitness studio offering yoga, dance and other exercise programs, just opened in a 1,300 square foot space on the third floor. Some good local economic news...taxable retail sales in Spokane County increased 5 percent through the first half of this year, at $2 billion dollars, up from $1.9 billion in the first half of last year. And preliminary figures from July show Spokane County's unemployment rate at 6.5 percent, down from 7 percent last July. "Smarter Customer Insights for Better Marketing Results"--Learn new cutting-edge tactics to reach more customers. Matt Lawson, Managing Director, Ads Marketing, Google, Inc.
"Micro-Moments: Guiding a Customer's Decision Journey"--Discover how you can reach your customers at exactly the right moment to capture their business. "Real World Success Stories: It Can Happen Here"--Get inside tips from businesses in Spokane that are using the power of Google to grow revenue every day. Businesses in markets from construction to health care to legal and manufacturing are learning how to leverage the power of Google to attract new customers, boost sales and increase market share. Join us for lunch and take advantage of this unique opportunity to see what Google technology can do for your business. A 5.3 acre property with a 15,622 square foot multi-use building in Spokane Valley has sold to WT Investments, LLC, owner of Viking Construction, for $1,875,000. The property is located at 19425 East Broadway Avenue, the highly visible building that was previously home to The Nut Factory. Goodale and Barbieri Company's Cory Barbieri and Ryan Oberg represented the seller and facilitated the transaction between the seller, First Federal, and the buyer, WT Investments, LLC. WT Investments, LLC was represented by NAI Black's Bryan Walker. Goodale " Barbieri Company is one of the Inland Northwest's largest real estate developers and managers, with projects in Washington, Idaho, Oregon and Montana. The Company is privately owned and was established in 1937. This is the last week to register for the YWCA's Women of Achievement Luncheon, October 1, 11:30 to 1, at the Spokane Convention Center. The featured speaker is Cheryl Strayed, the author of the New York times best-selling memoir, "Wild" which was made into a movie starring Reese Witherspoon. Spokane law firm Sullivan Stromberg, PLLC has changed its name to Lucent Law, PLLC as of July 14, 2015. The firm will continue to provide the same personalized services in the areas of real estate, business law, and wills, trusts and estates that it has offered since 2010. The practice of law is evolving, though, and attorneys Spencer Stromberg and Brett Sullivan timed the name change to correspond with the launch of the firm's Forms " Essentials e-commerce platform on its all-new website, www.lucentlaw.com. The internet has transformed the way we run our businesses and manage our personal lives. Lucent Law uses secure and convenient technology to deliver legal services through its Forms " Essentials platform. The attorneys of Lucent Law deliver over 175 fixed-price services and packages in the areas of real estate, business law, wills and trusts, and family and personal matters. Now, clients no longer have to choose either convenience or getting help from a real attorney. Forms " Essentials brings together the convenience of online shopping with the knowledge and advice of experienced lawyers. Whether it's through the Forms " Essentials platform or through traditional face-to-face engagement, Lucent Law is committed to providing each client with top-quality legal advice and client service.